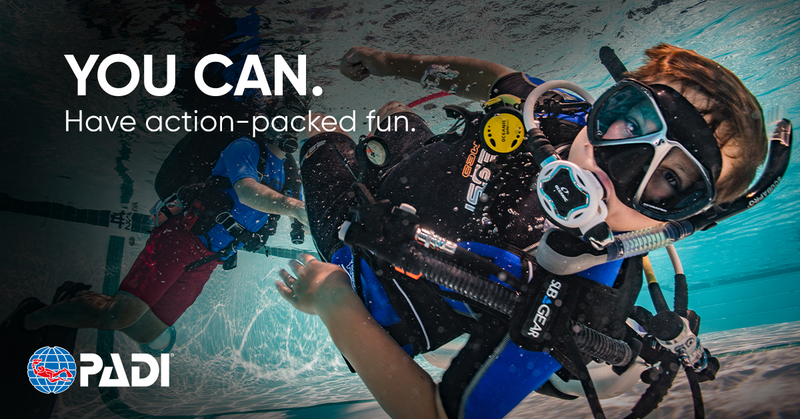 PADI Seal Team is a fun and exciting course for young divers (aged 8-11) who want to learn the basics of scuba diving in the safety and comfort of our heated pool. Through practising skills and playing fun games your child will learn teamwork, responsibility and care for the underwater environment. 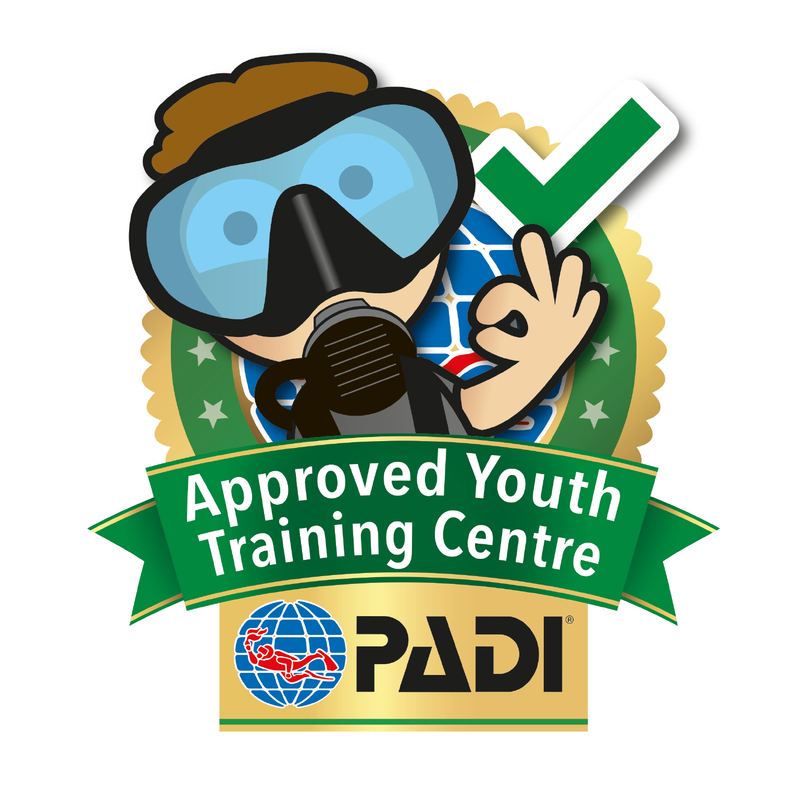 Dive Academy is proud to be a PADI Approved Youth Training Centre. You can be confident that ensuring that your child can complete their scuba diving experience in a safe and supportive environment is our number one priority. All staff are Enhanced DBS checked and all teaching staff are fully certified and insured PADI professionals. We have a range of child protection policies and procedures in place. 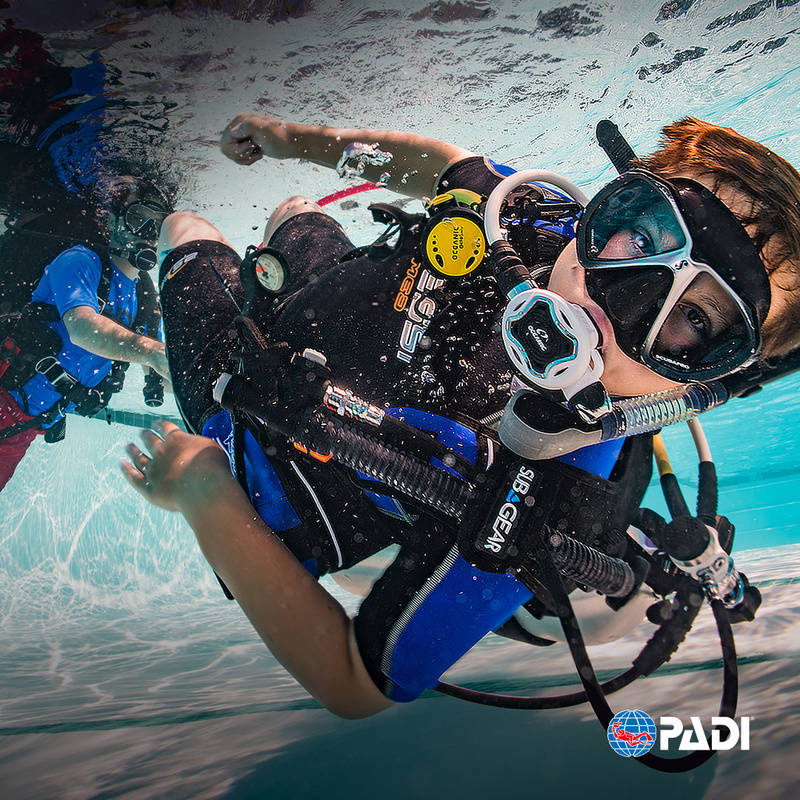 To join PADI Seal Team children should be 8 years of age or older and be comfortable in water. Parental approval is required. No prior experience of scuba diving is necessary but some children may prefer to try a Bubblemaker session first. What equipment will my child use? Seal Team members learn to use basic scuba gear including mask, fins, snorkel, scuba cylinder, buoyancy control device, regulator, and air gauge. We use 7 litre cylinders which are smaller and lighter than standard cylinders and our buoyancy control devices start at size 3XS, suitable for even the smallest diver. Dive Academy provides all equipment except mask, fins and snorkel. Your child should bring these with them to all lessons. If you do not already have these we have a range available for purchase at reasonable prices. Seal Team members use an activity and log book to record their achievements. On completion Seal Team Members receive a certificate and badge, they will also receive a certification card once completion has been registered with PADI. How can my child continue their Seal Team adventure? We run a range of Master Seal Team courses throughout the year with fortnightly sessions during term time and special holiday courses. To achieve the Master Seal rating your child will need to complete 10 Speciality Aquamissions including Wreck Diver, Night Diver and Skin Diver. Participants should be aged 8+ and in reasonable physical health. There is a medical questionnaire parents will be required to complete before the first session.